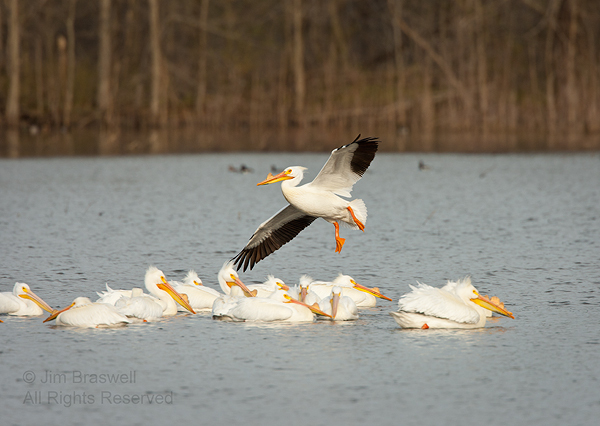 For a couple of days, my "Bird of Interest", the American White Pelican (Pelecanus erythrorhynchos) made a quick layover near my home in Missouri, during their northward migration. 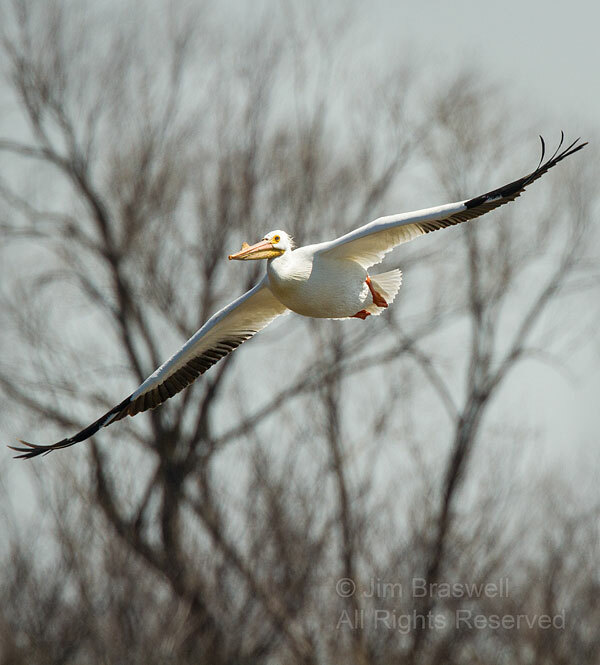 Pelicans have always been a "bird of interest" to me, partially because I see so infrequently (only during the spring and fall migrations) and partially due to their very interesting behaviors. 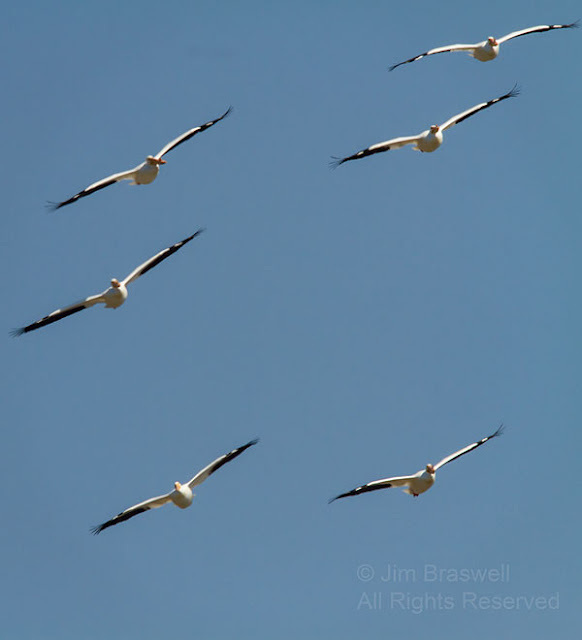 I particularly admire their "synchronized flight" behavior. They seemingly communicate to each other their next move, and the entire group executes it with fine precision, akin to the Navy's Blue Angels, or the Air Force's Thunderbirds. 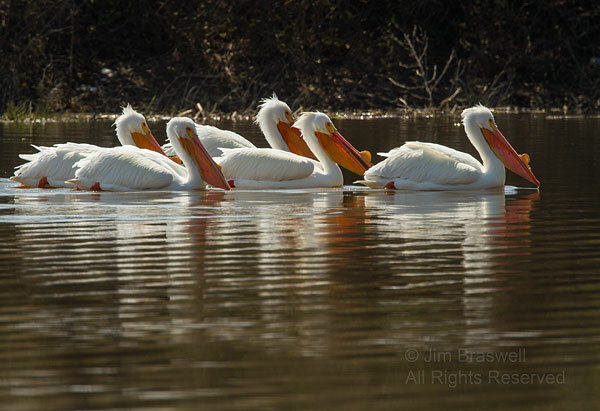 so unusual these glorious pelicans; they seem to have a 'knob' on the top of their beak??? Yes, Carole, a very neat bird! 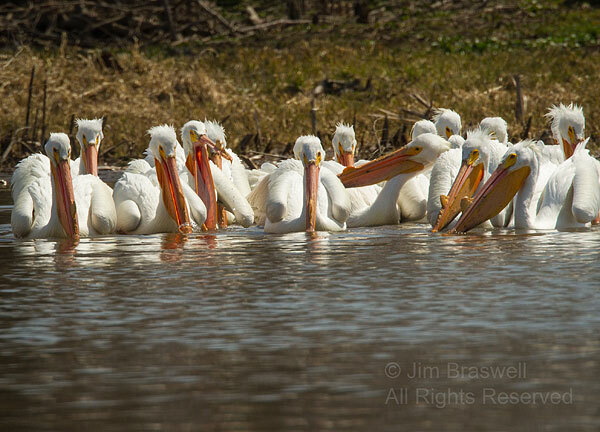 The "knob" you refer to is a raised, vertical plate that the adults develop, early in the breeding season. They are later shed. Great stuff Jim! Tammy Karr recently posted here about her overwintering American White Pelicans in Florida. 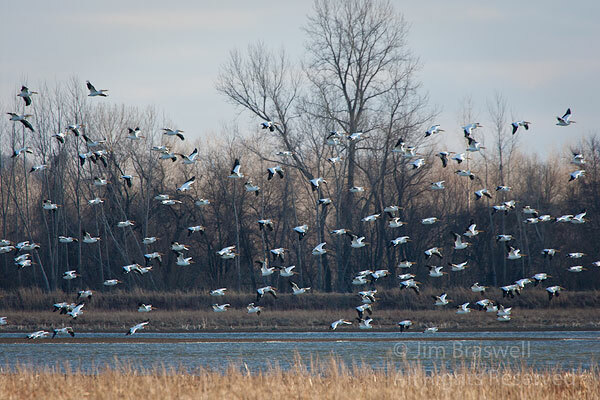 You post about them migrating through Missouri and I get to enjoy them through the summer here in Idaho. Glad we could share the birds with each other like that. 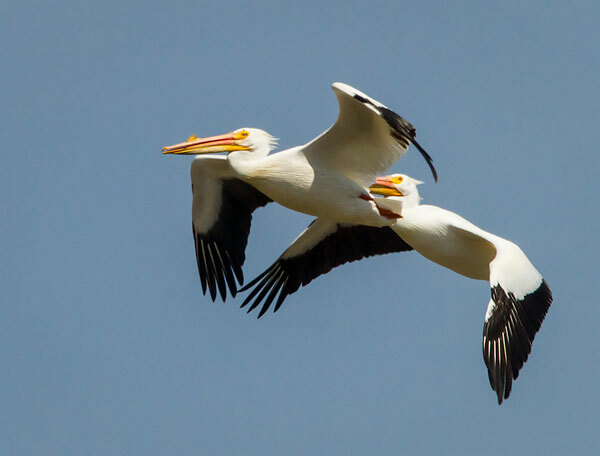 Thank you, Robert, and it is wonderful how our beautiful birds "share" themselves with birders all across our great land! 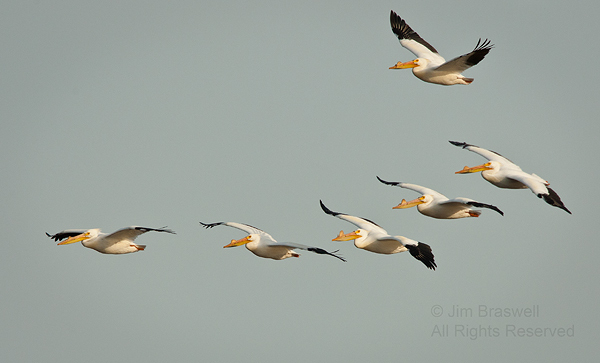 I've apparently never seen an American White Pelican in flight before. No idea they had black primaries! 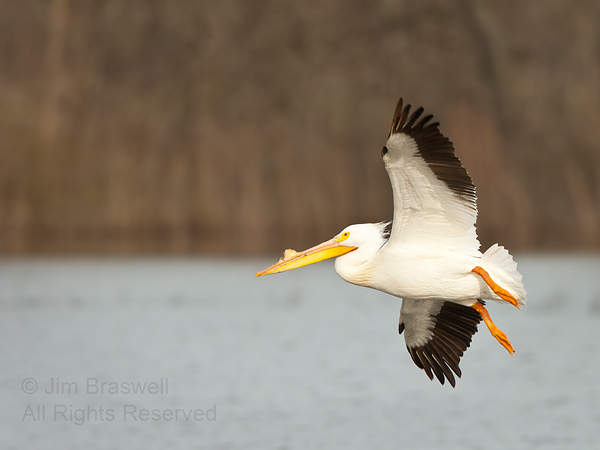 The black flight feathers really make the 9-foot wing-spanned American White Pelicans quite awesome in flight! 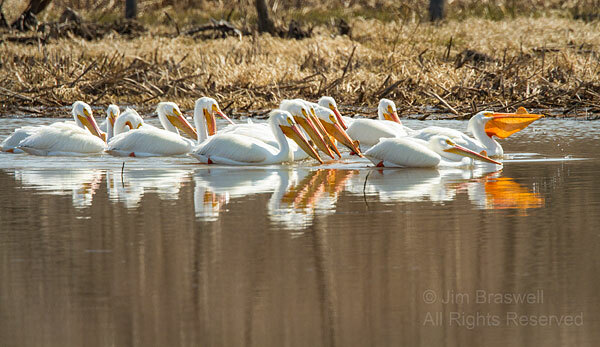 Great photos, Jim, they are one of my favorites too! 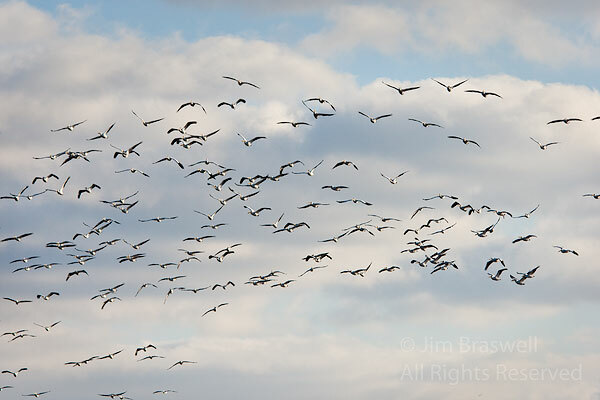 I remember the Brown Pelicans flying in such superb formation when I worked in the Gulf of Mexico. 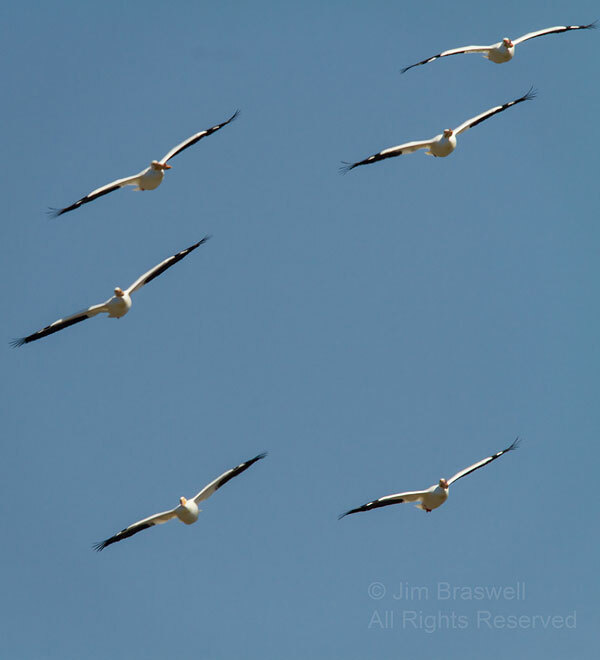 They used to hover in formation on the windward side of the ship in the updraft like here in this shot. They were a delight to see and yes, it did seem like they communicated between themselves, as I am sure they do. Regards, Mike at Oretani Wildlife. Thank you very much, prairiebirder! Thanks for your comment, Mike. 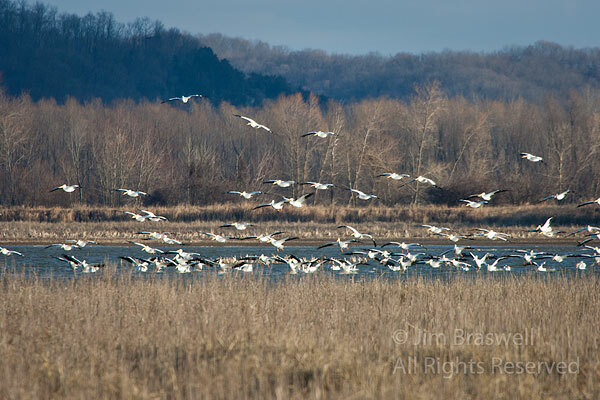 Both the whites and browns are awesome to watch! Beautiful photos. Love the ones of them in action and flight. We don't see them often in central west Florida. Thank you, dinascitywildlife.com , don't get to see them much here, either. But I really enjoy the little time I have with them! Thank you, CabinGirl! When they stretch out those 9-foot wings, they look real impressive very quickly! I can see why American White pelicans are a "special interest" bird for you. Very cool birds! 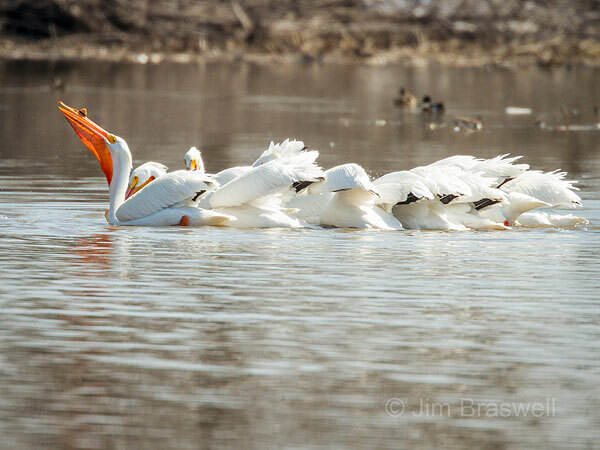 Outstanding series of images, Jim! 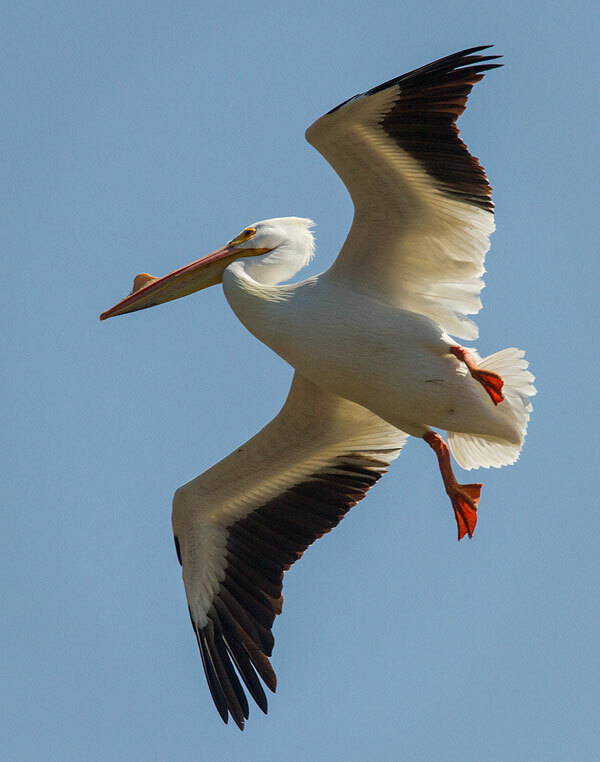 LOVE Pelicans! We have a lot of them around here in the summer months. They're fun to photograph. Nice photographs you have here. I think they're pretty amazing as well. Wonderful captures. I never see them with that shield on their bills so that's exciting to see! Beautiful shots! Thank you, Rohrerbot. They're certainly different with the shields. Beautiful pictures. 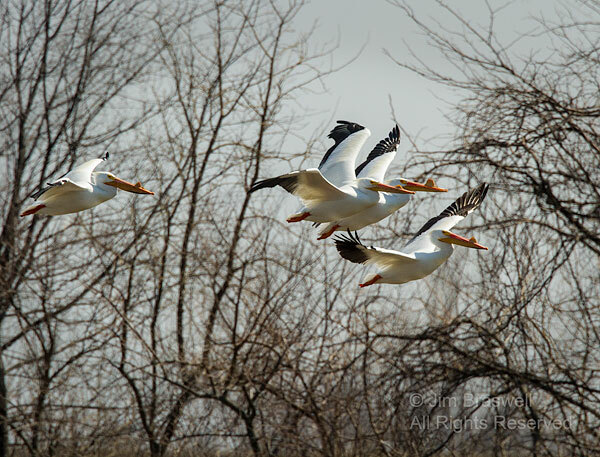 I love seeing White Pelicans when they winter in the San Francisco Bay Area. 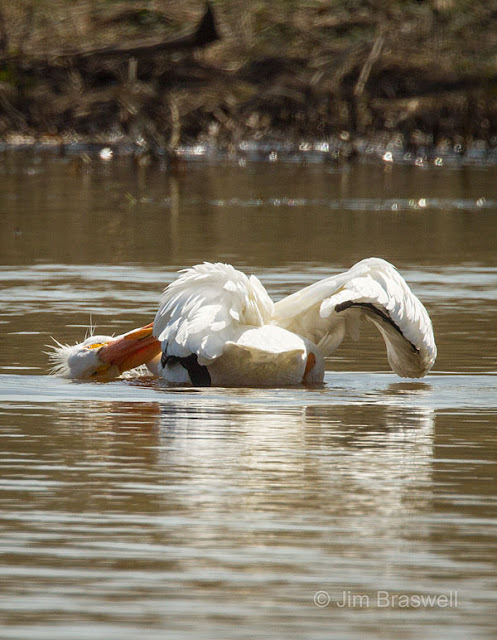 So graceful for such a big bird. Thank you, Kalifornia Kafir. I bet that is quite a sight, seeing them in the bay. 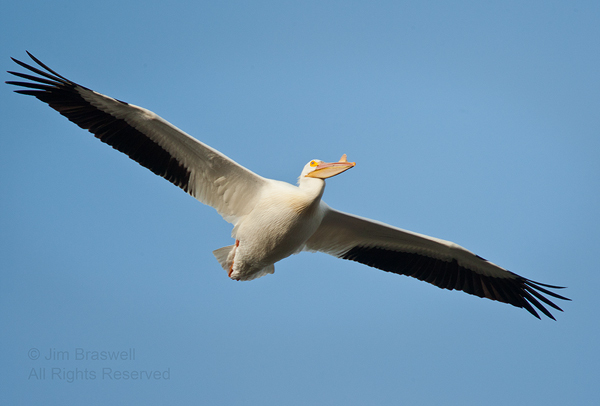 And yes, it's hard to imagine a bird with a 9-foot wingspan being graceful, but they are quite successful! Excellent images! I can see why you love them, it really shows in your photography. So many great views here. Really enjoyed scrolling through them! 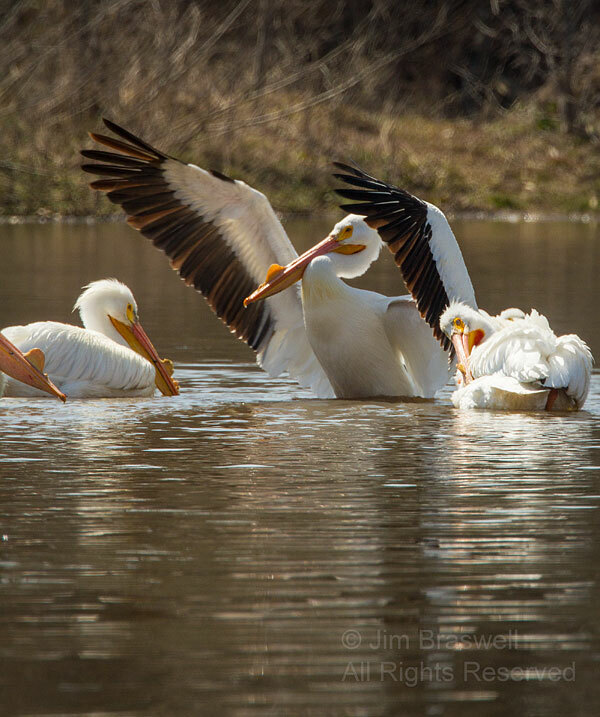 Wonderful photos Jim. I have never been so close to these gorgeous birds.